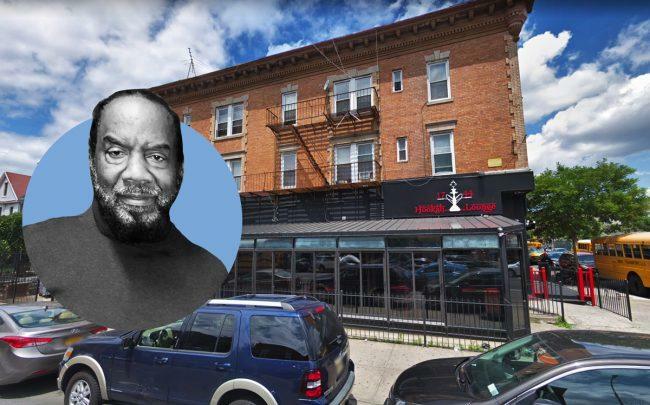 Kendall Stewart, a former city councilman, has been arrested and charged with harassment after allegedly threatening his Flatbush tenants who run a Brooklyn hookah lounge over money. Stewart broke down the office door of 1744 Lounge on Friday morning and told a tenant that he would “come back here and take care of you,” according to the New York Post, citing police sources. He then came back on Saturday evening with three men—one of whom pulled a gun—and threatened one of the business’ female employees. Stewart has also been charged with criminal mischief and menacing, although the three men he was with are still at large. The argument was reportedly about city fines. The lounge had been hit with thousands of dollars worth of fines in 2016, but those were paid off. Stewart represented Brooklyn’s 45th District on the City Council from 2002 to 2009, which includes neighborhoods like Flatbush and Canarsie. He was voted out soon after his old chief of staff admitted to stealing $200,000 in taxpayer money and replaced by Jumaane Williams, who was recently elected to be the city’s public advocate.